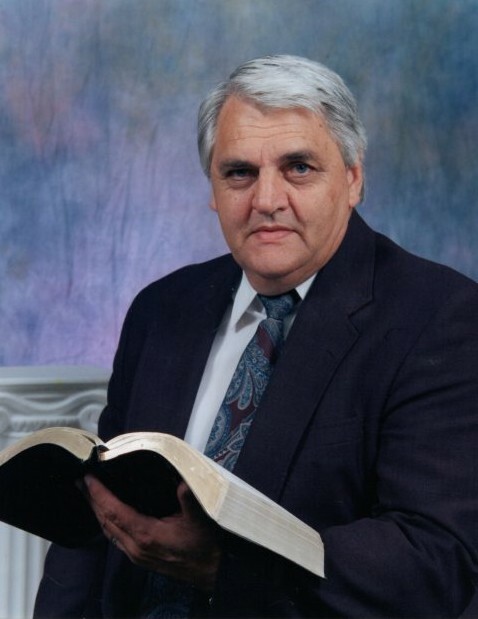 Dr. Peter John Dobie, age 80, went home to be with his Lord and Savior, on Tuesday, February 12, 2019. Services will be held at 11:00AM on Friday, February 15, 2019 at Dublin Church of God. Rev. Steve Hardeman, Rev. Phillip Waldvogel, and Rev. John Livingston will officiate. Burial will follow in Dublin Memorial Gardens. The family will receive friends from 10:00AM until funeral hour at the church on Friday. Peter Dobie was honorable, kind, more than fair, sweet, charismatic, funny, gentle, and so loving and giving. He worked hard at everything he put his hands on. He was successful in his secular job as an Industrial Engineer, and he thrived at Evangelism, both locally and abroad. He touched so many lives with his ministry as a Bishop, Counselor, Teacher, Mentor, and Friend. He loved life and his family so much- above all else, he loved the Word of God. He was an incredible husband, father, grandfather, great grandfather, and friend. He taught us all so many lessons in life. He was loved by all and will be deeply missed! He is preceded in by his parents, Robert and Anna Catharina Dobie; daughter, Sybil Gerber; brother, Bob Dobie; sister, Thelma Van Wyk; and brother-in-law, Hans Van Wyk. Survivors include his loving wife, Johanna Dobie, of Dublin, GA; daughter, Noleen Olckers (Martin), of Dublin, GA; son, Robert Dobie (Belinda), of South Africa; grandchildren, Tessa Dobie, Robert Dobie, Jr., Elizabeth Dobie, Dean Olckers, Francois Gerber, and Arusha Gerber; 7 great-grandchildren; sister, Maureen Van Wyk, of South Africa, and several nieces and nephews.